Centennial is the area’s newest city formed in 2001 bordering Littleton, Greenwood Village, Cherry Hills Village and Lone Tree, Colorado. While mainly residential in nature there are quite a few commercial properties in the Centennial Airport area. Single family homes tend to range in the low range of $180,000 up to the multi-million dollar homes. Gated communities, golf course homes, and luxury homes are dotted through out the city while residential real estate listings tend to be in the middle ranges predominately in the $250,000 to $500,000. 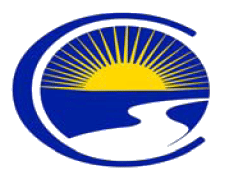 Residents voted to incorporate the City of Centennial on September 12, 2000 and elected its first officials on February 6, 2001. Centennial officially became a city on February 7, 2001. The quest for a new city took almost two and half years. The campaign included victories in the state legislature and state Supreme Court. Formation of the new city was approved by a 77 percent margin in the incorporation election. It was the largest city incorporation in U.S. history. Centennial nearly surrounds the DTC or Denver Tech Center. The schools serving Centennial, and all of the front range communities, are a diverse mix of public systems, charter schools, and private/parochial schools. Charter schools are considered public and will be included in the district listings. Please see the more school connections link for private, charter and home schooling options. As mandated in Centennial’s charter, the City is governed by a Council/Manager form of government. This system of governing consists of one Mayor, eight City Council members and a professional City Manager. Two Council members are elected from each of the City’s four districts while the Mayor is elected at large. The City Manager is appointed by the City Council and directly oversees the daily operations of the City. The City Council directs City policy while the City Manager is responsible for carrying out Council’s policies. wiki link to the city’s history and the official history page of the City of Centennial. The name “Centennial” reflects Colorado’s admission to the union in 1876 as the 38th state. The city was incorporated on February 2001 from portions of un-incorporated Arapahoe County. The city was incorporated in part to prevent further annexations by the neighboring town to the north and west, Greenwood Village. Since the city is relatively new, many people in the Denver-Aurora metropolitan area do not recognize the area by the name “Centennial”, especially since neighboring Aurora, Englewood and Littleton are assigned by the United States Postal Service as the “default” place names for the ZIP codes serving Centennial. There are a lot of opportunities for recreation, a lot of which Colorado is famous for including many horse clubs. The rest may be local golf, flag football or softball teams, walking and jogging path maps, or even recreation centers provided for residents. The town also has over 5,400 acres of dedicated open space.